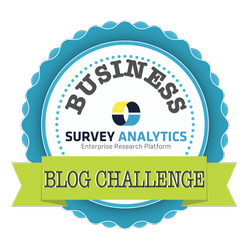 SurveyAnalytics Blog: Day 14: What Are the 5 Websites You Use Most Often? Day 14: What Are the 5 Websites You Use Most Often? Today we're discussing the five websites that we use most often and simply could not live without. Each of the websites listed below are used for many different things and by many different people, but each one is critical to the development and sustainment of Survey Analytics as a company. So here we've provided a list of the websites with a brief description of how we use them on a daily basis. 1. Survey Analytics - Of course we use our own survey tool day in and day out! In fact, it's used for much more than creating surveys. We offer a lot of helpful resources and solutions on our website that can help you to craft the perfect survey and show you how to get the most out of your research. 2. HubSpot - Our marketing team uses HupSpot on a daily basis. Between creating landing pages, sending emails, tracking our contacts and leads, HubSpot does it all. They also create really nice dashboards where you can see the performance of month over month or year over year, which is essential for us to keep track of our growth over time. 3. Salesforce - It kind of goes without saying that our sales team would not be able to work without salesforce. Basically, salesforce is a CRM system that organizes customer information from a number of different sources. The sales team uses salesforce constantly to track leads and opportunities, follow up with accounts, and close deals. They can also chat with other co-workers and share files so everyone is on the same page. 4. Github - Our very own software developers love to use Github because it allows them to collaborate and communicate across different software development projects at once. It's great for keeping things organized and staying in the loop at all times. 5. Lighthouse - Lighthouse lets companies of various sizes collaborate on projects and organize tasks. Essentially, we use it to set milestones and establish goals for feature release dates. From there we can create tickets for items that need to be fixed and can address them without having to clutter up our inbox. It's an easy and intuitive way to categorize issues and tasks so we can be productive as possible.